Saudi Arabia, October 01, 2018: For the fourth consecutive year, Dar Al Hekma University (DAH), one of the premier higher education institutions for Saudi young women, organized its Creativity Week for freshman students of 2018-2019 who have recently joined the university. The program was designed by Initiativez Group, a team of international and local experts and coaches who boast considerable global experience in enhancing and unleashing a person’s creativity and developing personal skills. The program comes in line with Vision 2030, which attaches great importance to nurturing Saudi youth creativity, and consists of a series of training activities that enhance students’ critical thinking and encourage them to participate actively in the process of learning. 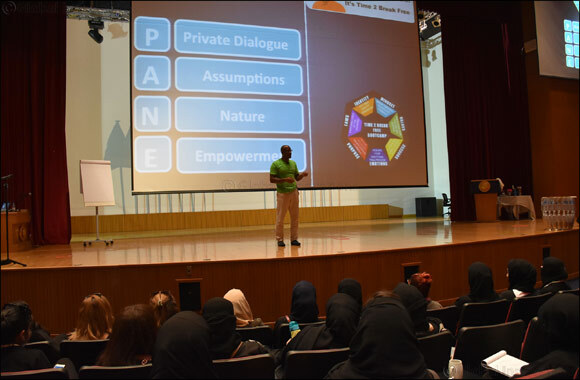 The three-day event, launched in DAH premises, aimed also to help students develop their leadership skills, embed emotional intelligence, polish and sharpen their communication skills and build their team work. It unleashed their creativity from within and helped them adapt to campus life faster while introducing them to their new classmates. It soothed students’ jitters and made them feel more comfortable with their new ambience. The program prepared students to embark on a new chapter of their lives, and find and experience their own talent with a friendly competition to create the spirit of enthusiasm. Freshman students were introduced to multiple leadership principles, and lessons for the development of personal capabilities, and team effectiveness.